Fall just isn't complete without pumpkin spice! And what is a better way to start your day than with a generous helping of pumpkin spice? These breakfast recipes are sure to brighten your fall morning and add a little spice to your step. Pumpkin breakfast recipes are super simple to make and make for very filling and satisfying breakfasts on these chilly fall mornings! Add a little pumpkin spice to your morning routine! 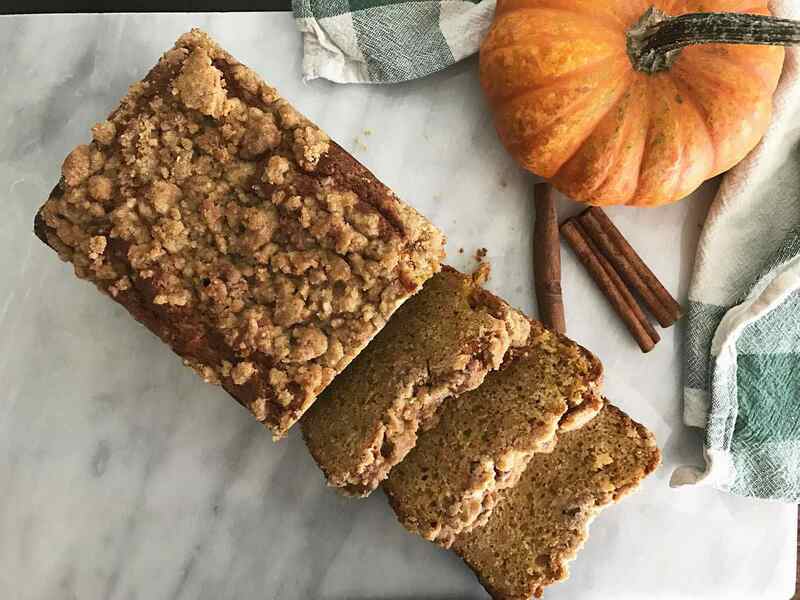 A perfectly moist and spicy pumpkin spice coffee cake is the perfect addition for your morning pumpkin spice latte. It also goes great with any regular cup of joe, or along side a tall glass of milk. The coffee cake makes a delicious gift or an easy, make ahead breakfast for guests. ​ If you're looking for a pop of protein in your breakfast along with a bit of delicious pumpkin spice, this protein shake is for you! A little vanilla protein powder and some canned pumpkin complete this hearty and quick breakfast! Overnight pumpkin oatmeal couldn't get any easier. Just mix the few, simple ingredients together, let them sit overnight and you've got a delicious and filling breakfast waiting for you in the morning! Pumpkin and Cream Cheese are made for each other and they come together beautifully in these muffins. It's almost like having a little bite of pumpkin cheesecake, without all of the extra work. I love making these as gifts or to serve to hungry house guests. I just love scones. Yes, they are mostly butter, but that is what makes them taste so good! At a tea, brunch, or breakfast they are the perfect buttery and delightful addition to a hot beverage. These pumpkin spice scones are spicy, slightly soft, and topped with a delicious glaze. 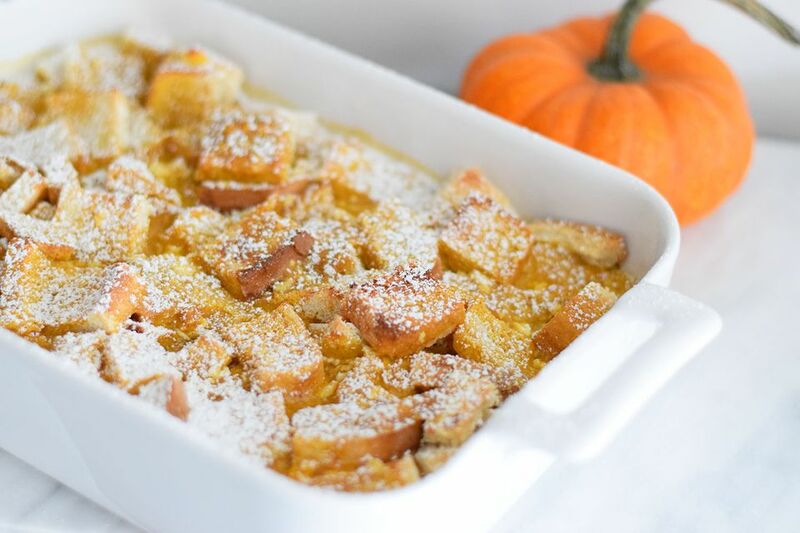 This french toast bake could not be any easier. It's full of delicious pumpkin spice flavor and comes out soft and slightly crunchy on top. It is so simple to make ahead of time and comes out of the oven hot and ready for hungry guests! Pumpkin toast is sweet, simple and is a quick way to fill your belly with pumpkin deliciousness. Make a large batch of the spread and keep it in your refrigerator to spread on any bread product that you have in your house!